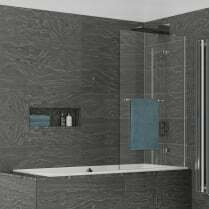 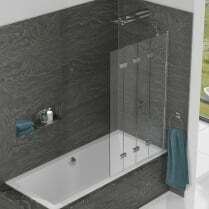 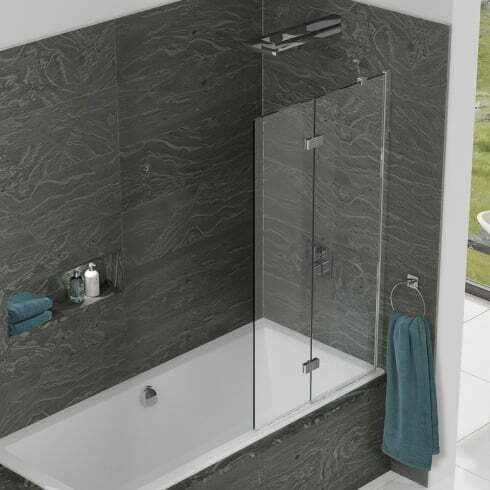 The inspire Two Panel In-Fold Bathscreen is available in both 6mm and 8mm glass thicknesses. 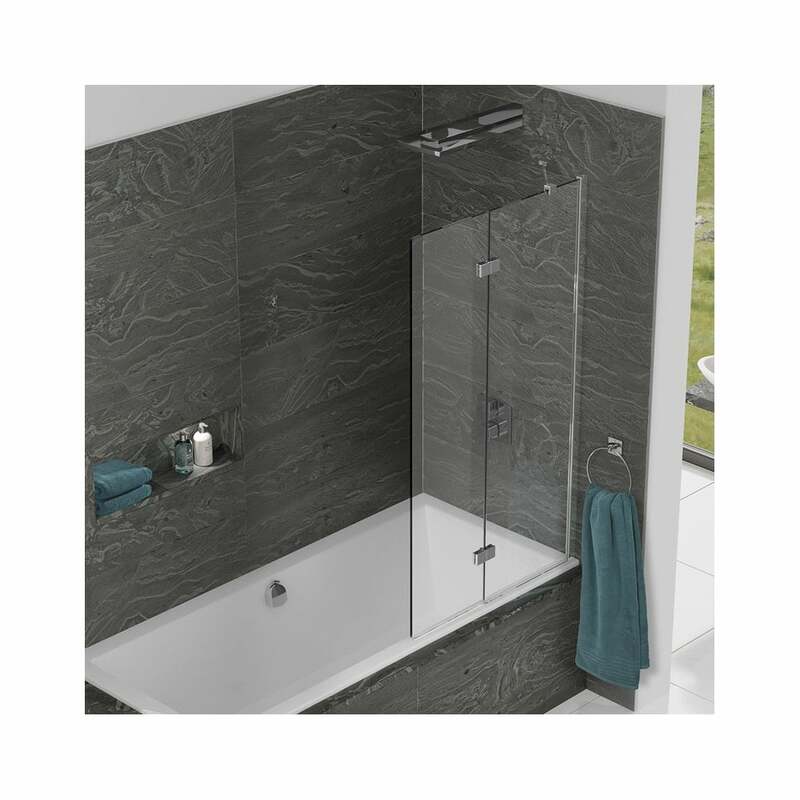 Featuring a 500mm fixed panel that is permenantly fixed to the bath and a smaller 375mm in folding panel which sits behind the fixed panel when not in use, allows easy access to the bath. 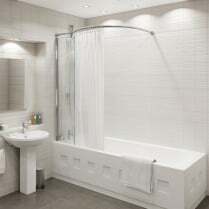 When in use the two panels provide a generous 875mm showering area. 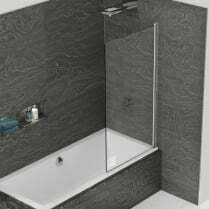 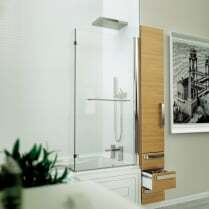 High quality, click-to-lock hinges secure the screen so it is positioned along the inner edge of the bath.